If you have any good wildlife pictures taken in the Park that you would be happy to share - animals or plants, big or small - please get in touch with us. Please see the 'Contact Us' link to the left. 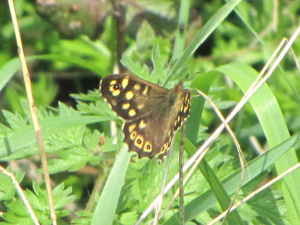 We are very appreciative of the help with the development of this page given by members of the Wickford Wildlife Society and by Mark Williams, Park Ranger, The Wick Country Park. 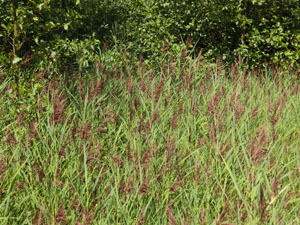 Situated adjacent to open countryside and developed from what were once active arable fields, the Park offers a range of habitats that collectively attract a huge diversity of of both plants and animals. Those habitats include open meadows, mature hedgerows, newly planted woodland areas, developing scrub-lands, the open lake, an open stream, and several smaller ponds. 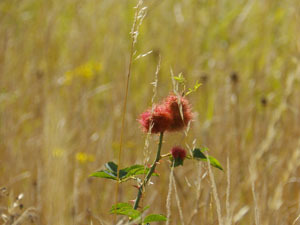 Man-made interventions such as bird-boxes have also helped to make the Park an enticing home for a huge variety of life. A Botanical specialist from the Wickford Wildlife Society has even spotted rarely-seen plants growing through the gravel on the borders of the car-park! 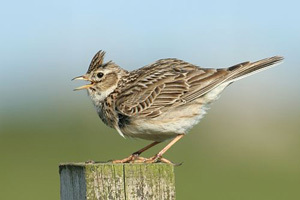 Recognising the importance of the overall food-chain, plans are being developed for the introduction of insect-friendly cladding to the storage container, and, further into the future, plans for the development of some of the open meadowland to make it more appealing to skylarks are being considered. Every year the Friends of The Wick Country Park organise events at the Park that are designed to enable the general public - especially the children - to 'get closer' to the Park's wildlife - please see our 'Events' page via the link to the left. Towards the end of this page, we have reproduced a report on one of these events as an illustration of specific and dated sightings at the Park. 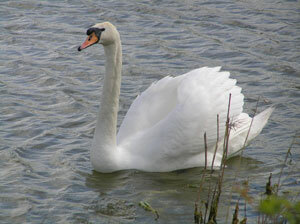 The (Mute) swans sometimes breed on the lake, but not every year. 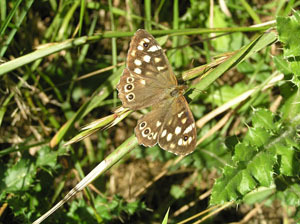 But even when not breeding, they visit regularly. 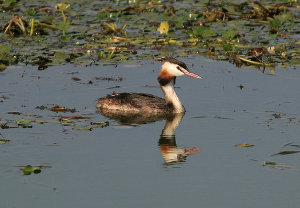 Great Crested Grebes sometimes breed at the Lake. You need to keep your eyes peeled as they often disappear from sight as they dive for fish. 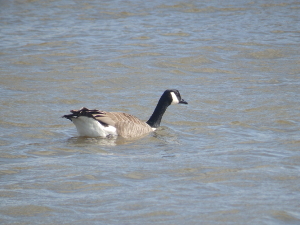 Canada Geese are seen very frequently swimming on the lake or resting on the Islands or on the fore-shore. 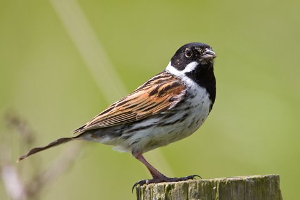 The beautiful little reed bunting can be seen on the reeds and sedges at the margins of the lake - not to mention, also occasionally on the fence-posts, conveniently posing for the camera! 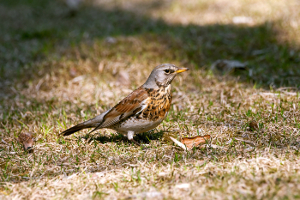 During January and February, you may see large numbers of both Fieldfares (left) and Redwings (right) visiting the Park in search of food and stocking up on fuel for their long flight back to Scandinavia. 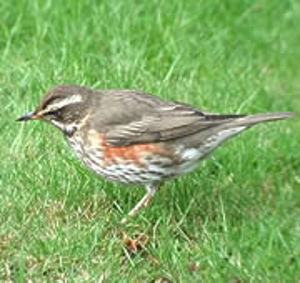 Their usual source of food is berries, and the birds can normally be seen gorging on the red berries of the hawthorn bush. 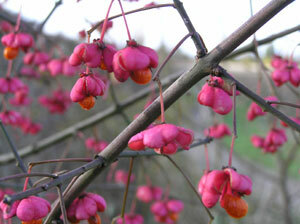 They also have a liking for soft fruit, especially fallen apples. 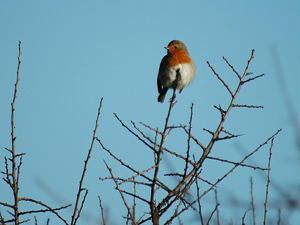 When the weather is better and the ground is neither hard nor covered in snow, they will feed on insects, worms, snails and slugs but they will be most noticed in the trees and bushes. A pygmy shrew, which is the smallest mammal found in the UK. 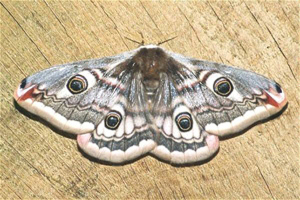 It is in fact smaller than some of our insects, and can sometimes be found sleeping in the burrows of some beetles. 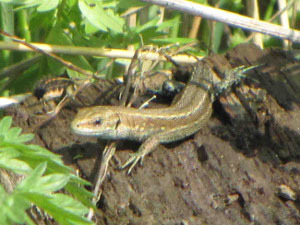 It is approximately 60mm from tip of nose to base of tail, with the tail being around 40mm long. As you will agree, in size it is very small. 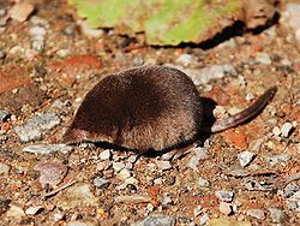 Having such a tiny body, the pygmy shrew needs to consume food at regular intervals in order to maintain its body temperature. In fact it needs to eat every two hours otherwise it may die. For this reason, when you see one they are usually frantically searching for their next meal. 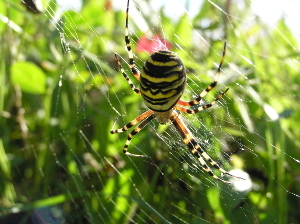 They generally eat woodlice, spiders and insects and can normally be found around the hedgerows. A fully grown pygmy shrew is about a quarter of the size of a house mouse. The average weight is around 4 gm - about the same as a penny coin. In the autumn they put on a thicker coat of fur, but this is no guarantee of surviving the cold winter months. 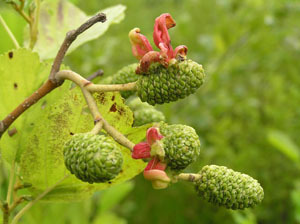 They are often referred to as "annuals" since their life span, at best, is around 15 months. 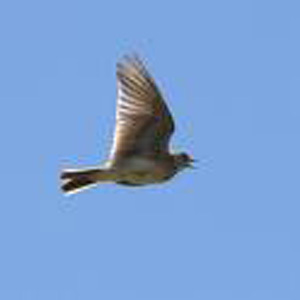 Skylarks - in flight and at rest. 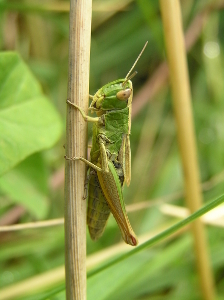 They were once very common at the Park. 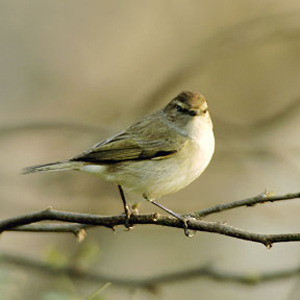 Indeed, this lovely and familiar bird forms the basis of our Logo, and we also name our two 3K races after them - see the 'Events' page via the link to the left. Sadly, they are now rarely seen as the charactersitics of the open areas have changed as the Park has matured. Skylarks like open farm-land. The good news is that plans are developing to revert part of the open meadows back to arable use - especially for the benefit of the Skylarks! It will be some time before that work can be completed, though, because the plan is dependent on the completion of other projects on the 'wish list'. 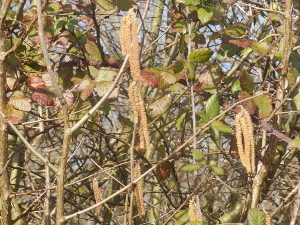 Found in the 'Alder Grove', a marsh area adjacent to the North Benfleet Creek in the north-east corner of the Park - Alder cones with galls caused by alder tongue fungus Taphrina Alni Also in the Alder Grove, but this photo was taken in Summer, when the sedges were in full flower. 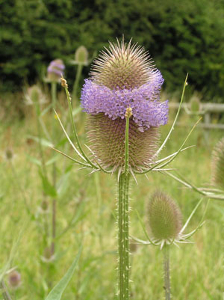 Teasels - in flower in Summer they are great for attracting skylarks! 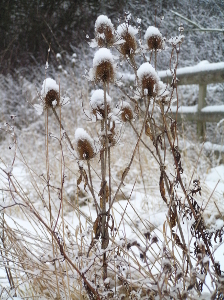 But in a snowed-up winter they make a lovely picturesque photo!